This is a key theory for Unit 1 and you need to know it in detail. This includes all the parts of the model, the research supporting it and strengths and weaknesses. Baddeley's addition of the Episodic Buffer is not in the Specification, but should be learned by students aiming for the top band. Make sure you can apply the model, explaining how it accounts for ordinary remembering and forgetting. 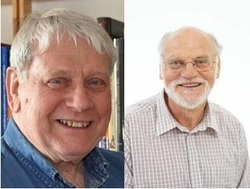 This theory was developed by Alan Baddeley & Graham Hitch, based on Baddeley’s research into memory in the ‘60s. It comes from Baddeley’s realisation that memory was in fact more complicated than the Multi Store Model made out, in particular the role of Short Term Memory (STM). Baddeley proposes Working Memory as something the carries out the functions of STM and some of the work of LTM as well. Baddeley noticed in many earlier memory experiments that participants who were asked to listen to two things at the same time or look at two things at the same time became confused. However participants were quite able to listen to something while looking at something else. This suggests that sound and vision are processed separately by memory (this idea is the dual test paradigm). Within Working Memory, one memory system handles sound (the Phonological Loop or “inner ear”) and another handles vision (the ﻿Visuo Spatial Sketchpad﻿ or “inner eye”). These two “slave systems” are managed by the Central Executive. Baddeley & Hitch describe the CE as being like a “little man” (“homunculus”) inside your head, organising your memories. The CE itself doesn’t handle memories but it allocates them to the slave systems. It retrieves information the 5 senses or from LTM and assigns it to the Loop or the VSSP for processing. It has non-specific modality – it can process sight, sound or any of the 5 senses. The Phonological Loop seems to be split into two sub-systems: an Articulatory Loop (inner voice) which voices information you are rehearsing and a Primary Acoustic Store which just holds on to the memory of sounds. The Articulatory Loop (or Process) engages in something called "subvocalising" which is that mental "talking to yourself" that goes on in your head. It's similar to the Rehearsal Loop in the Multi Store Model. Baddeley carried on doing research with patients with amnesia who couldn’t encode new memories (see the Schmolck et al. study for examples of this). He found that some of these patients could repeat back far more details of a story than they could be keeping in the Phonological Loop. In 2000, Baddeley published a new version of Working Memory with a new, third slave system: the Episodic Buffer. This system works between the Loop and the VSSP and specialises in episodic LTM, bringing elements of information together into patterns or stories. The Episodic Buffer is multi-modal - it's not limited to one sense only, like the other two slave systems. It's job seems to be to "bind" memories together, weaving visual memories and phonological memories into single episodes, which then get stored in Episodic LTM. The Central Executive picks and chooses the information from the Phonological Loop and the VSSP that go into the Episodic Buffer to form an episode of memory. The Episodic Buffer also seems to "download" episodes from LTM, sending them on to the Central Executive to be analysed and maybe recalled to conscious memory. Participants in tests get confused by lists of items that sound similar but not by items with similar meaning. This suggests that the Phonological Loop codes acoustically and gets over-loaded. For example, Baddeley (2003) found that similar-sounding letters (eg V, B, G, T, P, C) are not recalled as well as dissimilar sounding letters (eg W, X, K, R, Y). Memory recall of words is ruined if participants are asked to recite irrelevant words aloud at the same time. This also seems to block the Phonological Loop. Nelson Cowan (2005) suggests that Working Memory can be more efficient if it "chunks" information together; his experiments show that Working Memory in humans only handles 4 "chunks" at a time. The VSSP is in the right hemisphere, with simple tasks in the occipital lobe and complicated ones in the parietal lobe. The “Cocktail Party Effect” is the confusion you experience when you are trying to listen to two conversations at once. It’s an example of the Dual Task Paradigm. Working Memory explains why we experience this. The Loop and the VSSP are supposed to work together but if you have two sources of information that must be processed by the same slave system (two sets of sounds or two sets of images) then the slave system gets overloaded. This doesn’t happen when you are processing two different sources of information – which is why you can play on your Xbox and listen to your mother at the same time (despite her telling you that you can’t). Dementia sufferers have particular trouble with dual tasks. Baddeley & Erses adapted tasks for Alzheimer’s sufferers and found they still struggled with this, Baddeley suggests this is a fault with the Central Executive which may explain a lot of dementia symptoms. The dual load can be reduced by creating a quiet environment for dementia sufferers without background noise (turn off the TV/radio etc). The Episodic Buffer was introduced to the model to explain why brain-damaged patients can still recall stories or lists without the use of LTM. It may explain why Cognitive Stimulation works for dementia patients. Cognitive Stimulation uses prompts and activities to reawaken early memories and get patients to talk about their lives. Pulling memories together into a story is the job of the Episodic Buffer which can “pick up the slack” from the other two slave systems. You can use all of this in your Cognitive Key Question. Evaluating Theories can be done using the mnemonic C-O-D-A, which reminds you about Credibility, Objections, Differences and Applications. Some of these issues may be used in the wording of exam questions. There’s a lot of research in support of Working Memory, particularly into the dual task paradigm. These show that some dual tasks are more difficult than others (for example, ones where there are two sources of information with the same encoding) and Working Memory explains why this should be. The idea of the “inner ear” and the “inner eye” are quite easy to understand and match up with what it feels like when we remember things – this is called face validity. The model has also been backed up by brain scanning which shows acoustic and visual encoding going on in different parts of the brain. 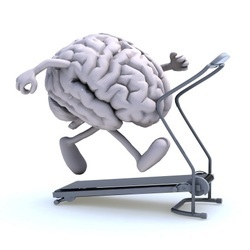 The KF Case Study supports Working Memory. KF suffered brain damage from a motorcycle accident that damaged his short-term memory. KF struggled to process verbal information but his visual memory was unaffected. This shows that visual information (VSSP) is processed separately from verbal information (phonological loop). No - not the KFC study. KF is an important case for criticising the Multi Store Model too. New data has emerged which the original (1974) model couldn’t explain – such as the brain-damaged patients who could repeat complex stories. However, the addition of the Episodic Buffer (2000) does improve the model. More research needs to be done on the Episodic Buffer because, unless the other two slave systems, it isn’t completely clear what it does. The model is based on lab experiments involving dual tasks. These are quite artificial. In real life, even at cocktail parties, you use your other senses (such as paying attention to body language or lip-reading when someone speaks). If the experiments into Working Memory lack ecological validity, then the model won’t explain how memory works in real life situations. Lieberman (1980) criticises working memory by pointing out out that blind people have spatial memory (they can remember where things are and not bump into them) even though they have never had any visual information. Lieberman argues that the VSSP should have two different components: visual memory and spatial memory. 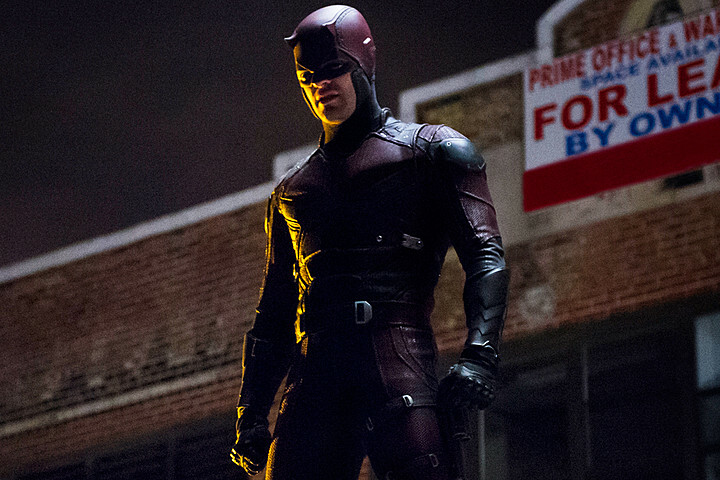 Daredevil is a blind superhero - so what's in his visuo-spatial sketchpad? Working Memory is similar to the Multi Store Model (Atkinson & Shiffrin, 1968). In fact, you might say Working Memory is a development of the MSM, with Working Memory replacing the STM Store. 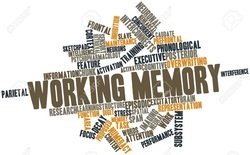 It’s still a linear model of memory, with the idea of information coming from the senses to the Sensory Store, being processed in Working Memory then encoded into LTM, from which is can be retrieved by the Central Executive. Working Memory is regarded as the most successful memory model at the moment because it is supported by evidence about the structure of the brain and the Working Memory model gets updated in the light of new discoveries in neuroscience. It is a model that is still developing (such as the addition of the Episodic Buffer in 2000) whereas the MSM is “fixed” and has not developed much since the ‘70s. Reconstructive Memory is a different approach to memory involving schemas. However, in Working Memory it is the Central Executive that creates and retrieves schemas to help the slave systems do their jobs. This is another example of Working Memory incorporating and improving on other theories. 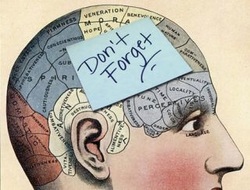 Working Memory tells us how to improve our memory in some situations. If you have to encode something in one particular way (like listening to a radio broadcast) then remove competing information (by muting the TV). However, it suggests you can concentrate on two differently coded sources at once – so you can do revision by copying a mind map while listening to a podcast. The model may have application to helping people with dementia. Using the Episodic Buffer seems to help people who cannot encoded memories in LTM or have trouble retrieving LTM. This means using Cognitive Stimulation: playing an old song and asking the patient to tell the story of how they first heard it. Start with an evaluation point and back it up with evidence. Evaluation + evidence = "logical chain of reasoning"
Working Memory credible because it's supported by the dual task paradigm. For example, Baddeley (2003) tested participants’ recall of similar sounding letters (E, G, P, etc) and found they got lower scores than with dissimilar letters (W, X, K, etc). If the Phonological Loop is overloaded, that would explain this. However, studies supporting Working Memory lack ecological validity because they are unrealistic. Baddeley's lists of similar sounding words are not an ordinary activity and don't tell us how memory works in normal situations. You could apply Working Memory to helping dementia patients by giving them a quiet environment, so that background noise doesn’t confuse them with dual tasking. Working Memory is a better model than the Multi Store Model. It replaces STM with something more complicated. It fits in with evidence from brain scans and cases like KF and it was updated in 2000 when Baddeley added the Episodic Buffer. In conclusion, in terms of the development of Psychology over time, Working Memory is the most successful memory model at the moment. It has been changed and improved over the years but it still fits in with what we know about the brain. However, more research needs to be done on the Episodic Buffer which is rather unclear. Notice that for a 8-mark answer you don’t have to include everything in the theory. I haven’t mentioned the Articulatory Loop or the different parts of the brain. I haven’t described Baddeley’s research into the Episodic Buffer. But I have tried to make the two halves – Description and Evaluation – evenly balanced. Apply the theory of Working Memory. A 4-mark “apply” question awards 4 marks for AO2 (Application) and gives you a piece of stimulus material. Candace is listening to the lyrics of her favourite band, Lipstick Lollipop, when her mother asks her to go to the shop to buy milk and eggs. When Candace gets to the shop, she realises she can’t remember what her mother sent her to buy. On the way home, she tries to sing the new Lipstick Lollipop song but she can’t remember the lyrics either! Working Memory would explain Candace’s forgetfulness. The pop lyrics and her mother’s instructions are both acoustic encoding and are processed by the Phonological Loop or “inner ear”. The Phonological Loop processes sound but gets overloaded by acoustic information from different sources. Candace’s Phonological Loop can’t cope with both sources at once so information is lost. Candace doesn’t just lose information from her mother’s instruction, she forgets the lyrics too. Since the Phonological Loop couldn’t do its job, the Central Executive couldn’t send the information to LTM. The other part of Working Memory is the Visuo Spatial Sketchpad. If Candace’s mum had shown Candace the empty milk bottle and egg box, she would have encoded that visually and remembered it. What should be added to this FAQ? What does the Central Executive do, exactly? Baddeley & Hitch originally proposed that the Central Executive did three things: (1) it processed some memories of its own, (2) it contacted the Long Term Memory and (3) it directed the slave systems. When Baddeley (2000, 2007) revised Working Memory, he changed his mind about the Central Executive. It now has no memory ability of its own and the job of dealing with LTM now falls to the Episodic Buffer. So all the Central Executive does is direct the three slave systems, telling them what to focus on and requesting information from them and passing information between them. Baddeley wonders if the Central Executive might be split into two parts: one part that focuses attention on one particular slave system (putting all its attention into the VSSP, for example) and another part that divides attention between the slave systems (juggling the VSSP and the Phonological Loop at the same time). So, in a nutshell, the Central Executive focuses and divides attention between the other slave systems, sending them instructions and sharing information. Think of driving along a familiar route, one you know really well, like the route to school. There's not much for the Central Executive to do, other than retrieve a set of well-learned procedures from LTM. However, if there is an accident and the road is blocked, then the Central Executive has to get busy. It has to inhibit (stop) the automatic driving behaviours and come up with a new plan for getting to school. It will have to retrieve a lot of semantic knowledge about the geography of the town and it will need to divide attention between the VSSP (looking for diversion signs and avoiding other traffic) and the Phonological Loop (where you probably subvocalise your plans: "I'll turn left at the garage... then go down the one-way street... I wonder if that road will be closed too..!"). Alternatively, you would use a SatNav. Satellite Navigation removes the effort from the Central Executive - which is why the Central Executive likes SatNavs. What on earth is a "homunculus"? It literally means "little man" in Latin; it's a sort of imp or goblin. Baddeley & Hitch use the word to refer to the Central Executive, because it behaves like a "little man" living inside your head. The reason why it's like a "little man" is that the Central Executive is intelligent and makes decisions. This is different from the way STM is presented in the Multi Store Model, as a simple rehearsal loop that mindlessly repeats things. Computers were in their infancy in 1974 and Baddeley & Hitch probably weren't computer experts. Windows hadn't been invented yet! If Baddeley & Hitch had known more about computers, they might have referred to the Central Executive as the "operating system" instead of the "homunculus". What is the point of the Episodic Buffer? That's a very good question. In fact, it's a major criticism of Working Memory that Baddeley (2000, 2007) doesn't explain the Episodic Buffer in as much detail as he needs to. The Episodic Buffer somehow "blends" information from the VSSP and the Phonological Loop into a "chunk" of information called an episode. These episodes are stored in LTM as episodic memory. Episodes of memory are coherent experiences and we need our memories to be coherent. Think about it: when you remember seeing your friend earlier in the day, you don't have to try to recall what they looked like then separately recall what they said. Instead, the memory can be retrieved at once as a complete episode featuring their appearance and their speech. "Binding" visual and acoustic information into an episode might be automatic. For example, you notice the expression on your friend's face while they're talking and the two sources of information - their words and their expression - blend together to create an episode of memory. The Episodic Buffer seems to be a sort of "backup" memory for the other two slave systems. It seems to link to LTM knowledge of things like language, which helps the Phonological Loop "chunk" words into manageable sentences. This is useful, because if you tried to follow a conversation, one word at a time, you'd quickly get confused. Instead, your Phonological Loop stores whole sentences that people say while you're thinking what you're going to say back. But the Loop needs the Episodic Buffer to help it do this, because the rules of the English language are in your LTM and need to be retrieved and stored somewhere in Working Memory while you're following the conversation. A really interesting aspect of the Episodic Buffer is that it might contain our consciousness because it "keeps track" of what we are thinking and experiencing and it "reflects" on what it means.